The EXIF Addon for Envira Gallery allows you easily display certain data from the image into your gallery and lightbox view. This tutorial will walk you through the steps on how to create a gallery and display our EXIF data from each image. Why don’t I see my EXIF data? Why didn’t my EXIF data import? Can I use the EXIF Addon with albums? Would I be able to filter by EXIF tags with the Envira Tags Addon? In this instance, you’ll be activating the Envira EXIF Addon. 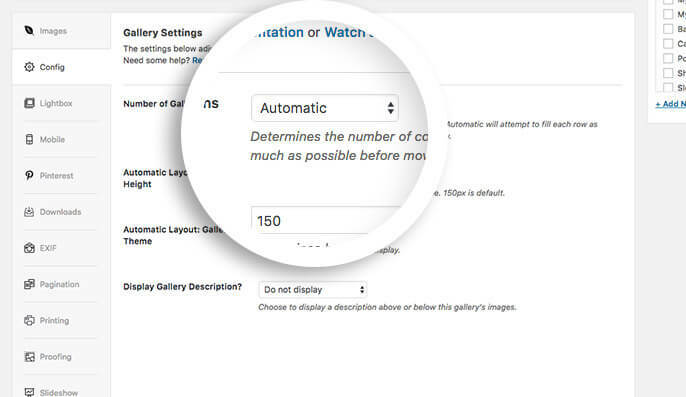 Navigate to the EXIF tab and configure the EXIF data you would like to show on your gallery view and lightbox view. 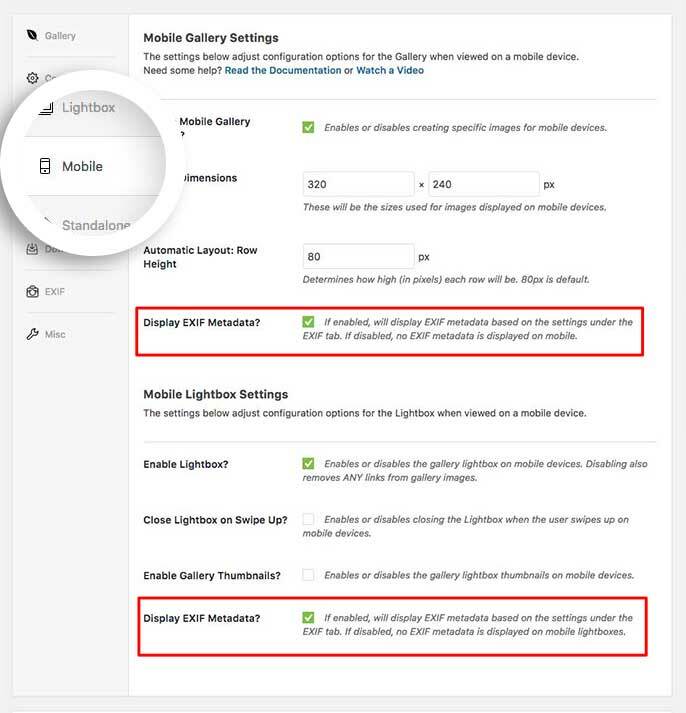 In addition to the EXIF tab, you’ll also have some options on the Mobile tab to choose if you want to display the EXIF data on the mobile gallery or mobile lightbox view. You’ll now be able to see the EXIF data you’ve enabled on your Envira gallery! Would you like to style your Envira Tags? Check out our article on How to Style the Tags List. Q: Why don’t I see my EXIF data? A: EXIF data is not displayed when the Number of Gallery Columns from the Configuration tab is set to Automatic. To show EXIF data in the gallery view you will need to configure the gallery to show a specific number of columns. 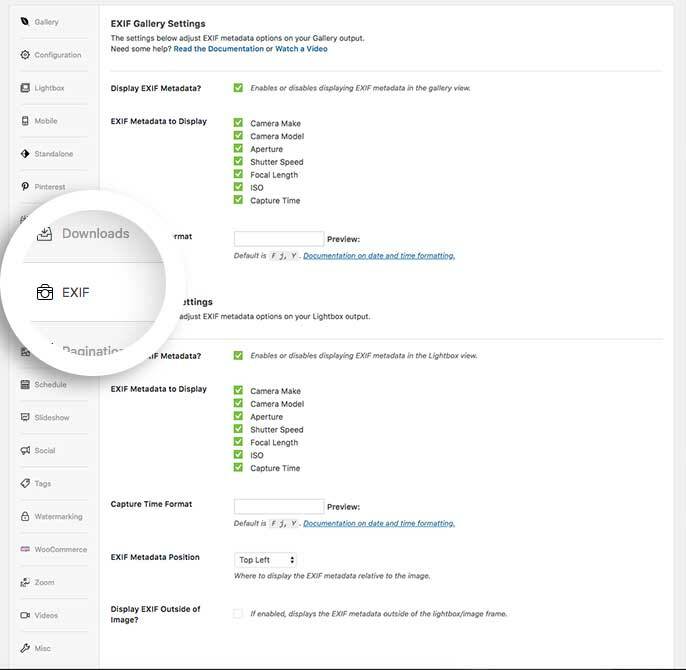 If you’ve selected a specific column layout and the EXIF data still fails to appear, check with your hosting provider to ensure exif_read_data() is enabled from the server level. Q: Why didn’t my EXIF data import? A: You need to make sure the EXIF addon is activated before importing images. Q: Can I use the EXIF Addon with albums? A: Absolutely! The EXIF tab is also available when creating or editing an Envira Album. However, you’ll only be able to display the EXIF metadata from the lightbox view so the options look a little different for albums. Q: Would I be able to filter by EXIF tags with the Envira Tags Addon? A: Absolutely! The EXIF data will show up as an option on the Tags tab when using the Envira Tags Addon. Added: Capture Time as an option. Added: Image counts/filter in Manufacturers admin screen. Fix: Improved santitization of EXIF data in some use cases. Fix: Addressing support requires to import, store and provide options to display IPTC data. 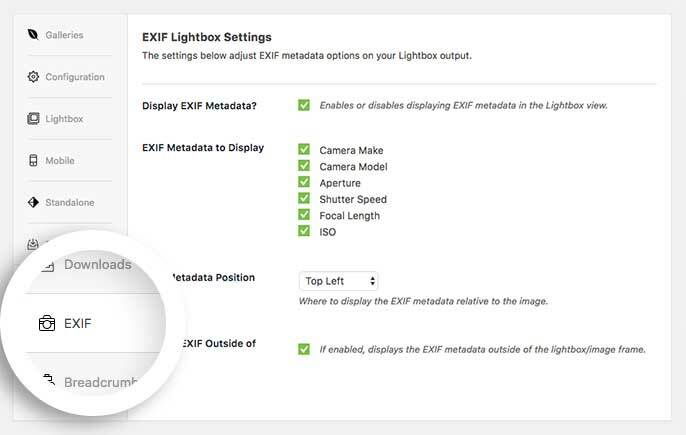 Fix: Display all Images in Lightbox with EXIF lightbox metadata enabled would result in gallery not working. 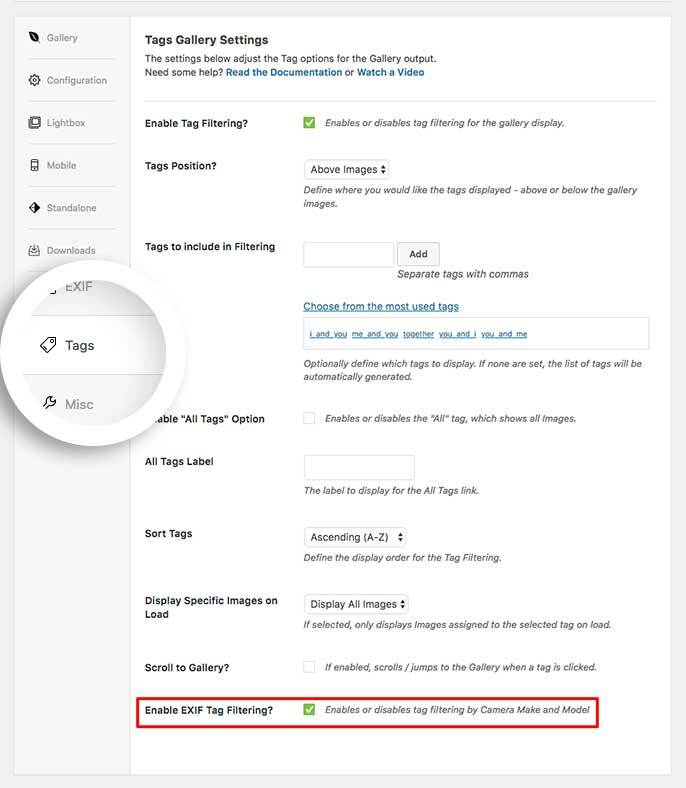 Added: Option to automatically read EXIF keyword data and save as tags when uploading an image.